The brief for our final projects was "design a solution to make a user’s experience easier, more intuitive, and more enjoyable." After I had to throw away two chicken breasts that went bad (ugh), I knew what my solution should address. I wanted to help users reduce their food waste. In the US, 30-40% of the food supply is wasted. Not good. After surveying potential users, a few patterns emerged. The people who planned their meals and went to the grocery store frequently (more than once a week) wasted significantly less food than those who did not plan meals and rarely went to the grocery store. Also, the main culprit for food waste was forgetfulness. I did some competitive analysis and started sketching basic ideas. 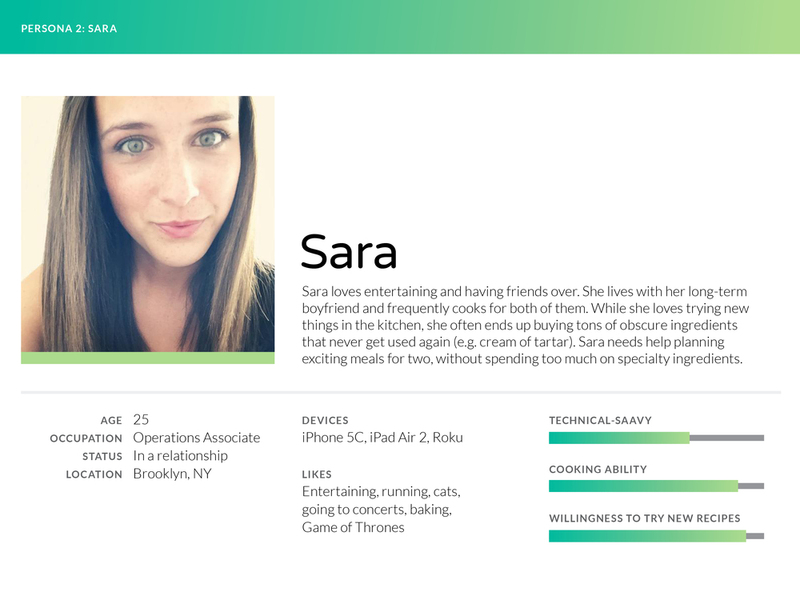 I made personas to better understand the users and their needs. I made a Feature Prioritization Matrix to prioritize which features were needs and which were nice-to-haves. After sketching a few screens, I realized I had to go back to drawing board with my navigation. It was overly complicated. 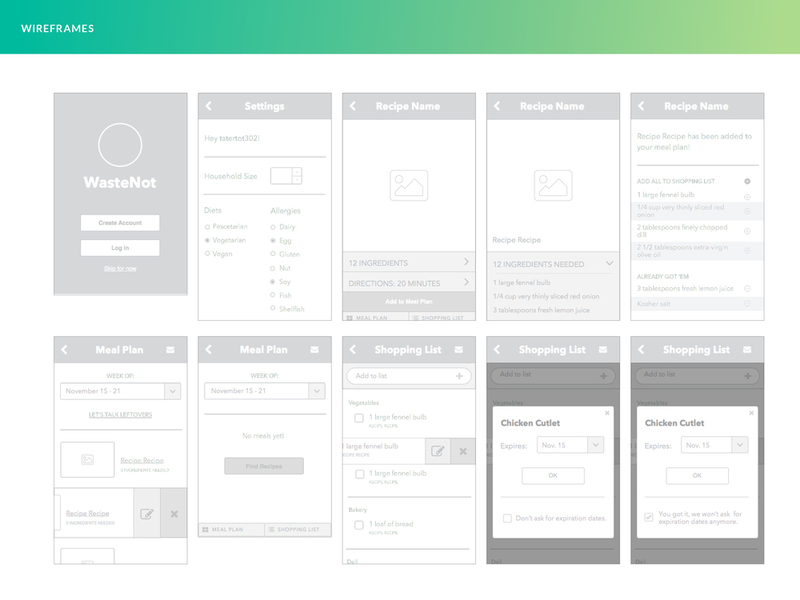 Looking back at the user research, I realized the app's main focus should be the shopping list. This is what users will need in the grocery store while shopping, and it should be quickly accessible. 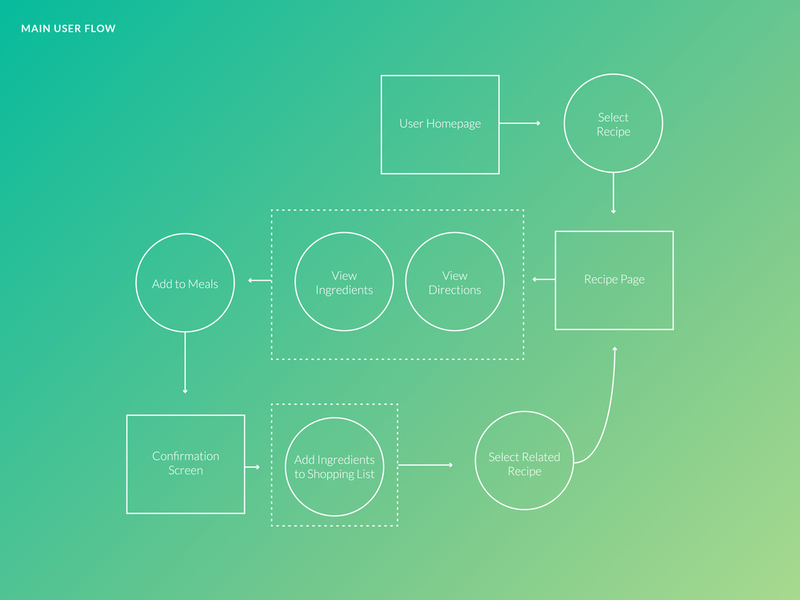 Finally, I jumped into User Flows and Wireframes. Please view on desktop for clickable prototype.